There is a grin on the face of third-year Adam DeJesus as he lies exhausted against the car door on the way back to his Rogers Park home. DeJesus usually has a smile on his face, but tonight especially he has reason to be happy. His mom has an authentic Puerto Rican dinner waiting for him at home. The dinner is well-earned; the night before, DeJesus finished in the final four of the Golden Gloves, Chicago’s largest and most prestigious boxing tournament. DeJesus’s Golden Glove run was a journey three years in the making. 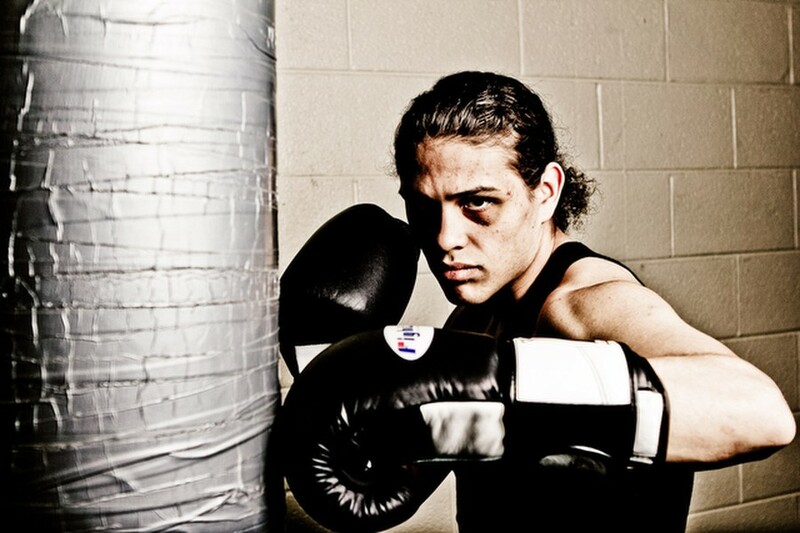 DeJesus did not start boxing until the summer going into his first year at the U of C. After not competing in any sports in high school other than fitness competitions as a member of the Junior ROTC, DeJesus was looking for a competitive outlet in college. “Going into college I wanted to try a sport,” DeJesus said. “I always would wrestle for fun with my friend, so I figured I would try wrestling.” DeJesus contacted head wrestling coach Leo Kocher about his desire to join the team. However, because DeJesus had no real wrestling experience, Kocher advised him to try the sport over the summer to prepare for the season and understand what he was getting into. DeJesus contacted the park district in Rogers Park about wrestling programs but found that they only offered wrestling for pre-high school students. “The only thing they offered was boxing,” DeJesus said. “So I figured that fighting experience through boxing would be better than nothing.” Kocher agreed with that logic, so DeJesus started training with his first coach, who goes only by the name of Bill, in the basement of the Rogers Park district building. When DeJesus came to the University he wanted to keep boxing but needed a new gym on the South Side to train. The closest place he could find was the Fuller Park Destroyers, a gym on 47th and Princeton, a few blocks west of the 47th Street Red Line Stop. There he found his current coach Kenneth Sims. “Coach Sims wanted to see how dedicated I was,” DeJesus said, “so on my first day training with him he had me spar for three rounds with his son.” DeJesus didn’t know at the time, but Sims’s son, Kenneth Sims Jr., was an accomplished Junior Olympic boxer. DeJesus recalls telling Sims he wanted to stop after taking a beating for two rounds, thinking he couldn’t last the final round. Sims would not have it. Boxing and intense academics in the sciences may seem like an unusual combination, but DeJesus swears that the disciplines complement each other. DeJesus has been competing now for three years, and has lost only one in six fights. His largest accomplishment to date came this past March when he reached the final four for his division in the Golden Gloves Boxing tournament. The tournament was held over three weekends at Gordon Tech High School on the northwest side, where thousands of patrons packed the gymnasium, each of them paying ten bucks to see early round fights and twenty for the championships. “Every boxer in Chicago has the goal of winning the Golden Gloves,” DeJesus said of the tournament. DeJesus fought in the 139 pounds weight class of the 20-and-under division this past year. Just getting down to 139 pounds was hard for DeJesus. He weighed in at 165 pounds when he started boxing. “Losing 25 pounds over two years and keeping my weight down has been tough,” DeJesus said, “but at my height if I boxed at any weight above 139 I would not have much of a chance.” DeJesus, who stands only five foot seven, routinely runs into opponents five or more inches taller than him. Though he lacks the long reach of most of his competitors, DeJesus compensates with his quickness, good technique of fending off punches, and excellent stamina. When DeJesus pulled a taller opponent in the first round of the Golden Gloves, he wasn’t fazed. “I knew that if I stayed patient and relaxed, my good technique and hard work on fitness would carry me through,” he said. After being defensive in the first round and fending off a flurry of punches, DeJesus came out swinging in the second round. “I could see that he was gassed after the first round, and I felt really fresh so I got aggressive and landed some big punches on his body and head; and a minute into the second round it got so one-sided that the ref had to call the fight,” DeJesus described with a smile. This win advanced him to the semifinals, where he would fight again the next Friday night. Unfortunately, the fight could not have come at a busier time for DeJesus. It was on the Friday of winter quarter reading period, and he had four finals to prepare for, as well as an interview with a committee from the Chicago Careers in Health Profession Office, who would be writing a letter on behalf of his medical school application. “Those two weeks (10th week and finals week) were crazy. 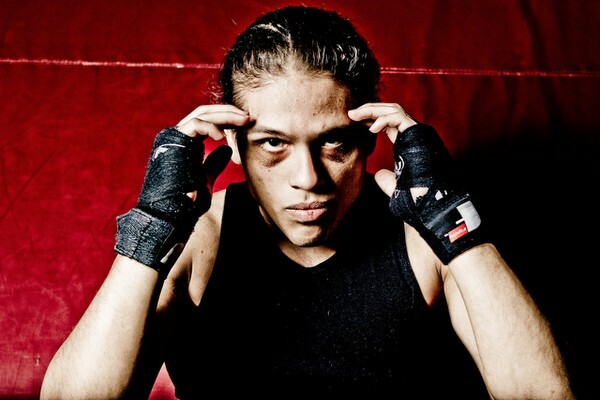 I was jacked up about the fight, but I just did not have enough time to do my normal preparation because of school.” Going into the fight Dejesus was nervous about not having gotten in the normal sparring time before a fight. He went up against a taller opponent but found himself up on points after the first round. In the second round Dejesus had his opponent up against the ropes, but with one punch his adversary ended his Golden Gloves run. DeJesus’s dedication and accomplishments make him an exceptional student and boxer, but it is his humility and sense of humor that make him an exceptional person. DeJesus is focusing on taking the MCAT and getting his medical school application together this spring, so while he is still training diligently, he will not fight until a June 20 bout at his home Fuller Park gym. DeJesus admitted that he thinks fighting competitively could be too difficult during medical school, so he says he will likely hang up his gloves after the summer of 2012. However, he still wants to give the Golden Gloves one more go next March. He plans on fighting in the open division next year, the larger and more competitive division that allows for qualification to the Olympic trials. “I am already excited about the Golden Gloves for next year. I will be training with that as my main goal starting in the summer,” DeJesus said. No matter the results, DeJesus’s next year of boxing will be completed with an ever-present smile drawn across his face and will represent yet another inspiring chapter of an incredible collegiate career. Although he may not box his whole life, in whatever endeavor he takes on—wheter conducting his own research, studying for the board exams, or treating patients-Dejesus will continue to put up one hell of a fight.